Flowers are blooming, the sun is blue and I’m sneezing all over the place. It must almost be Easter! Candy and treasure hunting; what more could you ask for in a holiday? 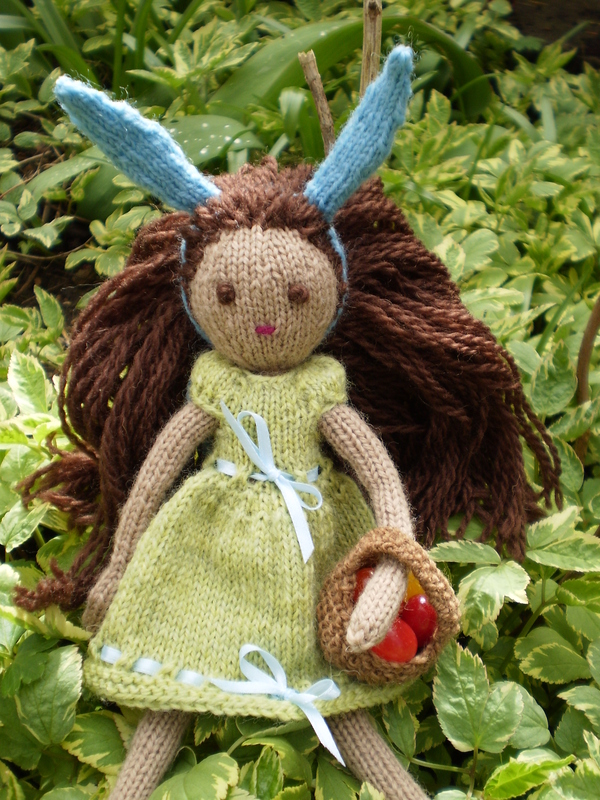 The Little Knit Doll loves Easter, too and is ready to go hunting for Easter eggs. She’s got a cute new party dress, a festive bunny-ear headband and a tiny basket to hold the eggs (or jellybeans) she finds. This festive little outfit knits up in a snap, and will be ready to add to your kid’s Easter basket by the Sunday after next. The dress is knit in the round with short row shaping to make the puffy sleeves and yarn-overs which make adding the ribbon details a snap. The ears are knit separately and attached to an I-cord headband. And, the basket is knit in a single piece with very little finishing. 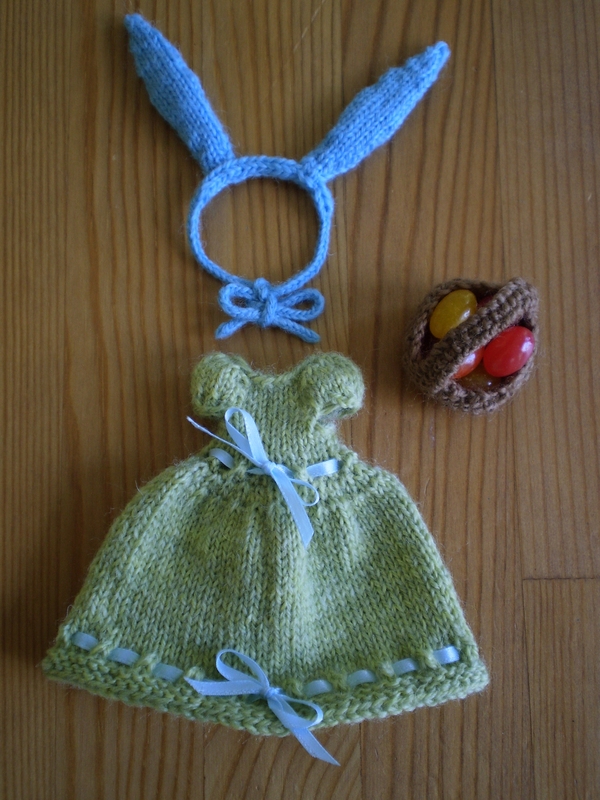 This entry was posted in Patterns and tagged basket, clothes, doll, doll clothes, doll dress, dress, ears, easter, easter basket, easter dress, egg basket, gift, gown, headband, knitting, party dress, pattern, puffed sleeves, rabbit ears, ribbon, ribbon trim on April 7, 2014 by onemilljellybeans.